Recently the bitcoin community has been abuzz with talk of a potential “fork” in the bitcoin blockchain. Many bitcoin exchanges have recommended users withdraw their bitcoin to a decentralized wallet, like breadwallet, because users of breadwallet hold their own funds directly on the bitcoin blockchain and don’t rely on a third party to manage their funds, which could potentially result in an unwanted outcome. Forks on the bitcoin network can be complicated, but the bottom line is that holding your funds in breadwallet when a fork occurs is perfectly safe. You don’t need to do anything special to protect your money, however if a fork occurs we do recommend you hold off on sending or requesting any money until the fork is completely resolved. If you are worried about a fork happening without you knowing about it, please click here to sign up for our announcements mailing list. If a fork does happen, everyone on the mailing list will receive a notification with instructions on what to do next. Now, if you’re ready to learn what a fork is and exactly how it will affect breadwallet, read on! The bitcoin network is built around the bitcoin blockchain, which is a central ledger that contains information on all bitcoin transactions worldwide. 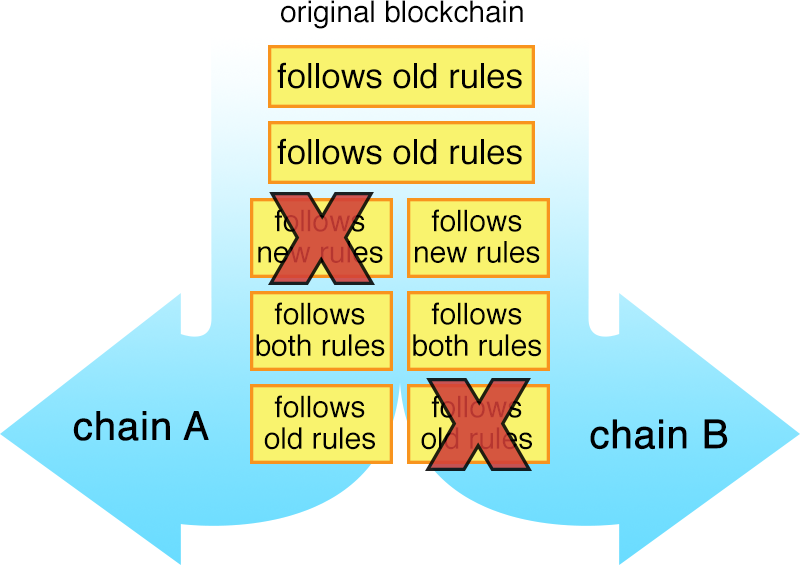 The name “blockchain” comes from the data structure: it is series of data “blocks,” with each block of data referencing the previous one to form a “chain” and to ensure data integrity is maintained. The blockchain is maintained by computers located all around that world, called “miners,” that work together to keep the data in the blockchain synchronized and validated. Miners agree on certain rules, such as only allowing users to spend money they own, and preventing users from creating new (counterfeit) money. Miners all agree on the one true blockchain, and reject data that conflicts with the information they have. Recently the bitcoin community has been discussing new rules about the amount of data that can be stored in each block of the blockchain, and it is possible we may see a fork emerge in the near future. Hopefully the fork would be resolved quite quickly, with the less-popular chain quickly being abandoned, but if many miners refuse to upgrade their software the second chain could stick around. If this does happen, your transaction history up until the moment the fork occurs will exist in both chains, since they both share a common history up until the split. However, if you receive or send money after the split, it’s possible these new transactions will only be saved on one of the chains. How does this affect breadwallet? In the case of a fork, breadwallet will continue to connect to the chain that is the most popular amongst miners. You will not see your balance on the less-popular chain, and your bitcoin balance as shown in the breadwallet app will not change. We expect the less-popular chain to quickly lose support and be abandoned, which is why we have not invested a lot of resources into adding the capability to interact with both chains separately. If a fork does happen, however, funds stored in breadwallet will be safe. There is no need to uninstall breadwallet or take other action, however in the case of a fork we do recommend you refrain from sending or requesting funds until the less-popular chain is no longer active, just as a precaution. 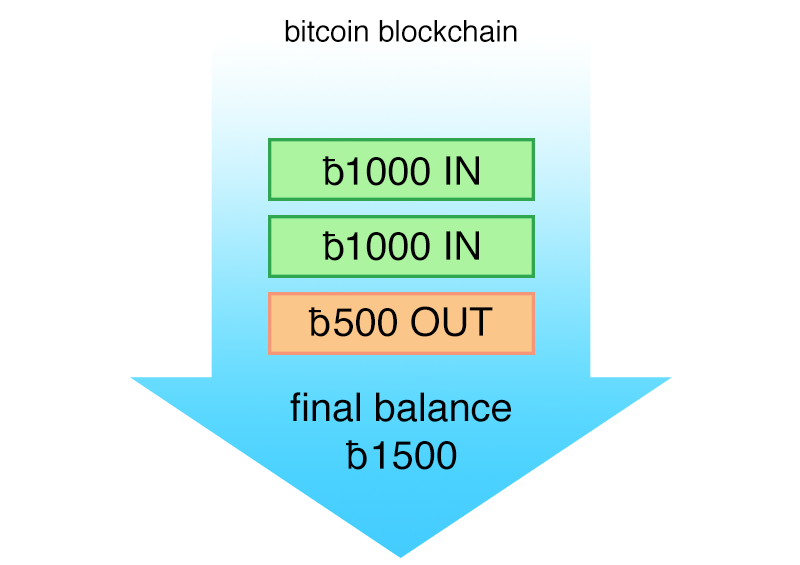 What should I do if I want to access my balance on the minority chain? In order for breadwallet users to be able to send and receive funds on the chain of their choosing, a feature called “replay protection” needs to be designed. The bitcoin community has not yet decided on the technical details required to offer this type of feature, and it’s possible it may never be offered. If the less-popular chain continues to be supported with no sign of being abandoned, we intend to release a separate breadwallet app that is designed to work only with the less-popular chain so users can access their funds on that chain. What if I need to send or receive funds while a less-popular chain is still active? As long as both chains are active, funds sent or received on the more-popular chain as seen in breadwallet may or may not be reflected on the other chain. If the less-popular chain happens to gain a lot of support and become the most popular chain, any transactions that were sent but not reflected on that chain would be undone. If you are sending or receiving money to/from someone you trust, this may not be a problem because the funds can be resent in the event the transaction is undone. Merchants who accept bitcoin, however, will most likely require any transactions to be accepted on both chains before being considered valid. If you would like to send money to a merchant while the less-popular chain is still active, please contact them beforehand for instructions on how to proceed.